With more browsing expected to take place on mobile platforms than through the traditional desktop in the next few years, the reality of all our laptop and desktop routines moving to your iPhone or Android mobile device becomes apparent. Baring this in mind, here are our current favourite mobile apps for SEO. This app gives you a short and concise detailed report of every site and then sends you SEO summaries to your email – all very smart. The app offers you a nice and easy way to get site synopsises and is great for those who are quite up to date with SEO. Though the application does have some out of date information among its ranks, it is a little bit hit and miss, though is currently one of the best available. For people with a number of AdSense sites running at the same time, this app is a great idea. You just look at it as the day passes and see how many clicks the site has generated and the revenue received. It offers you then the chance to do a few simple sums and come up with new strategies and estimates. Purely about the monitoring of certain keywords. This app costs around £1.50 and expels the need for CAPTCHA codes. One downside is that if your keywords are not matching for the top 64 then it won’t rank, however it is not a mobile app you’ll need if this is the case, but something more fundamental . It also allows you to work with unlimited sites and unlimited words and allows for country specific search results. This app has a number of calculators to allow you to figure out Search Engine Marketing equations such as CPM, CPM to CPA and others and is ideal for those involved with PPC Marketing. This apps shows you Alexa Page Rank and Google Page Rank of a certain site. It is free for the lite version, however this really limits you and you don’t get a number of excellent features which will look into inbound and external links as well as data on indexed pages in certain engines. 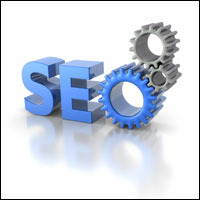 Looking for certain keywords for your site? Well, you must remember not to go over a certain keyword density for fear of being penalised. This app will analyse a sites density and report it back to you so Google doesn’t slap you on the wrist. A clean and cheap app with all the basic tools you need from Serp analysers to Inlink analysers. It is a neat and tidy design that looks good and performs well on the iPhone. Downloading a few of these SEO mobile applications and having a look at what you want on them heralds some great ways to get a lot of SEO information on the go, whether on mobile phone, tablet or otherwise. Are you using mobile apps for SEO? Let us know via the comments section.